Work Safely in the Construction Industry CPCCOHS1001A. This course replaces Red Card Melbourne Training. This course is run in Melbourne by our partner company, Edway Training. Group Booking – Training at your choice of venue Australia-wide – enquire now. Provided by Edway Training, our white Card Training Course is fully accredited and approved by WorkSafe Victoria. Edway Training is a Registered Training Organisation (RTO) with the Australian Skills Quality Authority (ASQA). Participants, who fulfil all requirements, will be issued with a Statement of Achievement which immediately allows them to enter Construction Industries worksites. WorkSafe Victoria will issue then mail out a permanent Construction Induction Plastic Card at a later date. Recognising that many businesses and groups require greater flexibility, Edway Training offers competitive Group Training. We can organise for White Card Melbourne training for your group to be held either in-house, at your choice of premises, or within our training facilities. For more information contact us here or call 02 1300 663 350 for pricing and other enquiries. Our White Card Training usually takes place over 6 hours; a full day with breaks included. Participants are expected to bring their own pen and paper, and wear clothes that will enable them to be comfortable throughout the training. Students are expected to be at the training facilities at least 15 minutes before the training is due to begin so necessary registration details can be recorded. Anyone who arrives over 30 minutes after the start time will not be allowed to enter. WorkSafe Victoria requires all students to be able to effectively communicate, read and write in English. After the completion of all training, students will be required to sit a multiple choice assessment paper. Students who do not reach the required level of proficiency will not be awarded a White Card certification. All participants must show proof of their identity by providing one form of photo I.D. (e.g. passport, Australian driver’s licence, proof of age card, student card). Check here to WorkSafe list of Approved Forms of I.D. to ensure you provide the correct form of I.D. with you on the day. Who needs White Card Training? All people working on, or repeatedly entering any Construction worksites are required by the Australian Federal Government to carry valid white card accreditation with them at all times. 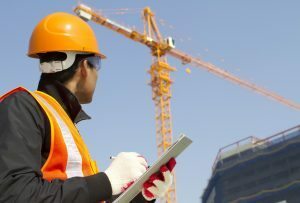 White Card Melbourne Training covers a variety of different aspects of occupational health and safety with a particular emphasis on practical application within the Construction Industries. ONLINE $130 – To qualify for the discount online fee enrolment must be paid prior to the day of commencement. Payment Methods: VISA and MASTERCARD payments are accepted (0% surcharge fee).